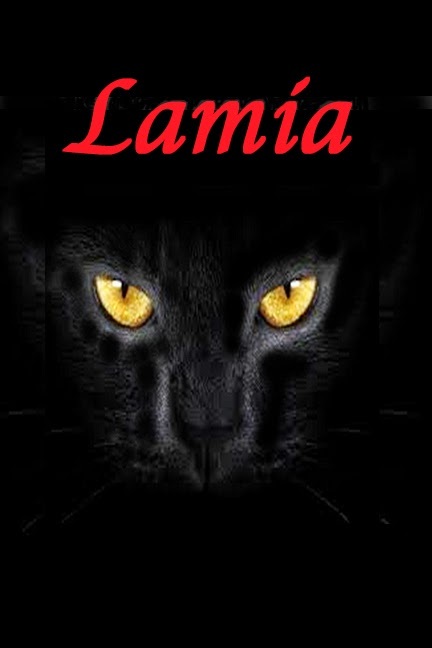 I'm halfway through a horror story called "Lamia" it was all going well, but now I have a head cold. Actually it has been hanging around for a couple of weeks, but now it's giving me a fuzzy head. I thought as I cant be certain I'm a good judge of what I'm writing, I would have a couple of days of not writing. Give the ageing loaf a rest. The trouble is I cant stop, I woke up in the night with an idea for a new story and today whenever I let my mind rest Lamia creeps in again with more potential adventures. I even created a cover to get my mind off the actual words.